Objectives This study examined the association between household savings and related economic measures with utilization of skilled birth attendants (SBAs) at last birth among women living in peri-urban households (n = 381) in Ghana and Nigeria. Methods Data were drawn from the 2011–2014 Family Health and Wealth Study. Multivariable logistic regression models were used to estimate the odds of delivery with an SBA for individual and composite measures of household savings, expected financial means, debt, lending, and receipt of financial assistance, adjusting for demographic and reproductive characteristics. Results Seventy-three percent (73 %) of women delivered with an SBA during their last birth (89 %, Ghana; 63 %, Nigeria), and roughly one third (34 %) of households reported having any in-cash or in-kind savings. In adjusted analyses, women living in households with savings were significantly more likely to deliver with an SBA compared to women in households without any savings (aOR = 2.02, 95 % CI 1.09–3.73). There was also a consistent downward trend, although non-significant, in SBA utilization with worsening financial expectations in the coming year (somewhat vs. much better: aOR = 0.70, 95 % CI 0.40–1.22 and no change/worse vs. much better: aOR = 0.46, 95 % CI 0.12–1.83). Findings were null for measures relating to debt, lending, and financial assistance. Conclusion Coupling birth preparedness and complication readiness strategies with savings-led initiatives may improve SBA utilization in conjunction with targeting non-economic barriers to skilled care use. The authors wish to thank the Family Health and Wealth Study (FHWS) participants for making this research possible. We are also grateful for support from the Bill & Melinda Gates Foundation though the Gates Institute for Population and Reproductive Health at the Johns Hopkins Bloomberg School of Public Health. The presented conclusions are those of the authors and do not necessarily reflect the views of the funding body. JHPIEGO. (2004). Monitoring birth preparedness and complication readiness, tools and indicators for maternal and newborn health. JHPIEGO, Maternal and Neonatal Health Programme, Baltimore. http://www.jhpiego.org/files/BPCRtoolkit.pdf. Pathmanathan, I., Liljestrand, J., Martins, J. M., Rajapaksa, L. C., Lissner, et al. (2003). Investing in maternal health: Lessons from Malaysia and Sri Lanka. Health, Nutrition and Population Series. Health Development Network. The World Bank. Available at http://go.worldbank.org/Y0PMLTI6Q0. UNICEF Data. Monitoring the Situation of Women and Children. (2014). Access the data: Delivery care—Skilled birth attendance. Regional averages 2009–2013. Available at http://data.unicef.org/maternal-health/delivery-care. WHO, UNICEF, UNFPA, The World Bank and the United Nations Population Division. World Health Organization. (2014). Trends in maternal mortality: 1990 to 2013. Estimates by WHO, UNICEF, UNFPA, The World Bank and the United Nations Population Division. 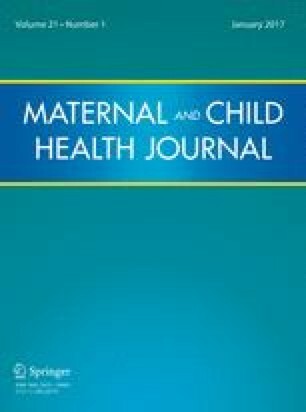 Available at http://www.who.int/reproductivehealth/publications/monitoring/maternal-mortality-2013/en/. World Health Organization. (2004). Making pregnancy safer: The critical role of the skilled attendant. A joint statement by WHO, ICM and FIGO. Department of Reproductive Health and Research. Geneva. Available at http://www.who.int/maternal_child_adolescent/documents/9241591692/en/.